Gloomy Faces Galore at BSM | Marbella Marbella – Adelante! Pupils from Years 5 and 6 during their Victorian Day at school. A Victorian Day at the British School of Marbella saw pupils experience a school day with a difference last week. Years 5 and 6 dressed up in Victorian style clothes for the event while a ‘Dunce Hat’ and the cane also made a return – all in jest of course! Classrooms had their desks arranged in straight rows, boys and girls were separated and there were hand and nail inspections. 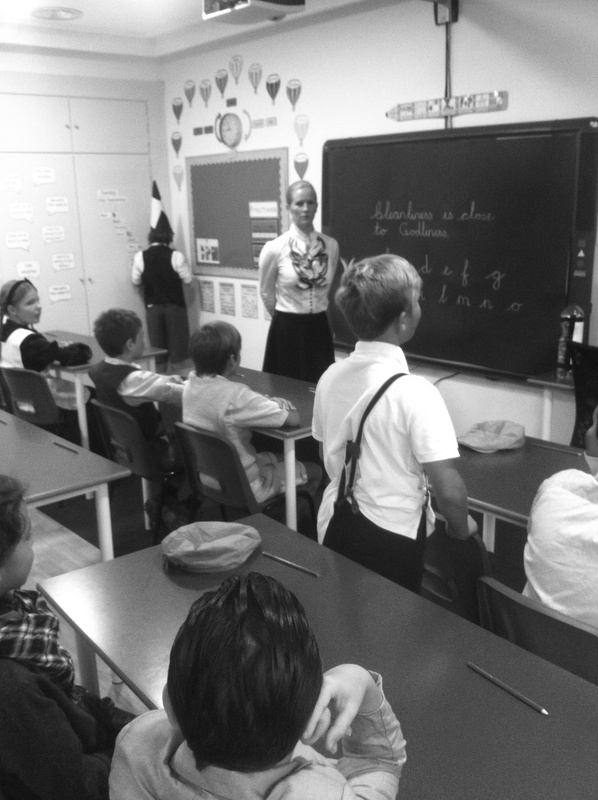 There were also times tables recitals and handwriting practice, while the interactive whiteboard was replaced by a chalkboard. Standing in the corner of the classroom with a ‘Dunce Hat’ was a punishment during Victorian times.. The special day of leaning was designed to spark their interest in their latest topic about the Victorians in Humanities this term.